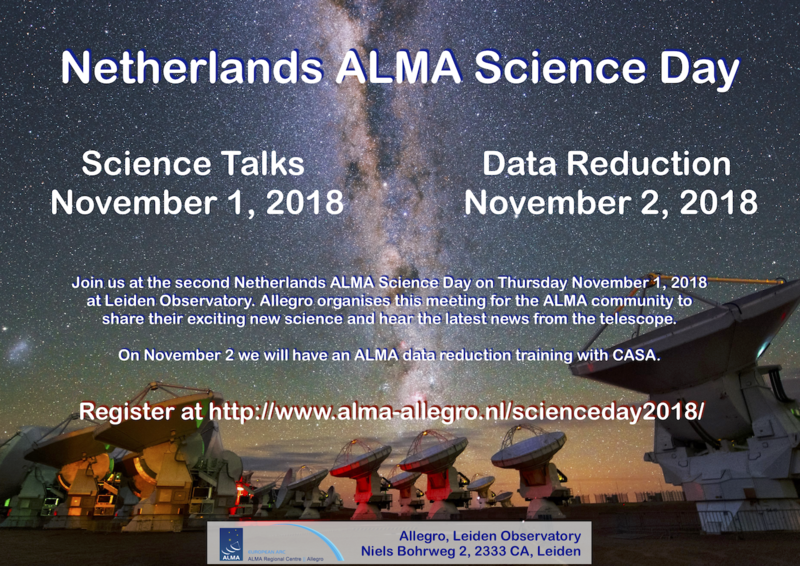 Allegro is organizing an ALMA Science Day on Thursday November 1st, 2018, at Leiden Observatory. The day will start with a special ALMA Colloquium by Dr. Karin Öberg (Harvard-Smithsonian Center for Astrophysics), who will tell us about the “Chemistry of Planet Formation”. We have reserved the afternoon for presentations by astronomers from the Allegro user community: We have exciting talks scheduled with ALMA results on galaxies, planet forming disks and star formation. In between and before the tea break, we will also have the latest news from ALMA followed by an open discussion on expectations and wishes for user support, and any other ALMA-related topics. For those interested, an ALMA data reduction training with CASA will be offered on Friday November 2 at Allegro. Note these specify the route to the Lorentz Center, which is in the forward leaning building in the photo. 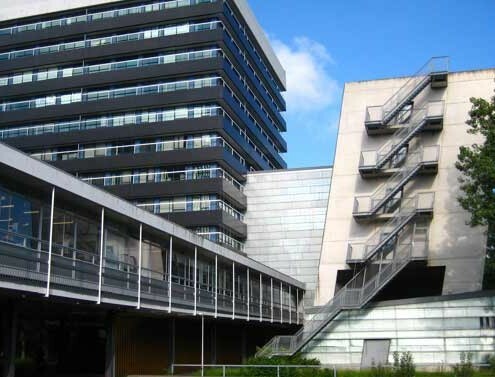 The event will be held in the joining taller building – The Huygens building. Leiden Observatory and Allegro offices are located on the 4-5th and 11th floor of that same building, respectively. At the entrance of the building there is a reception were they can provide you with directions. The ALMA Colloquium in the morning will be held at the Sitter Zaal on the ground floor of the Oort building. The afternoon session will be held on the 2nd floor of the Huygens Building (HL), room HL-226. 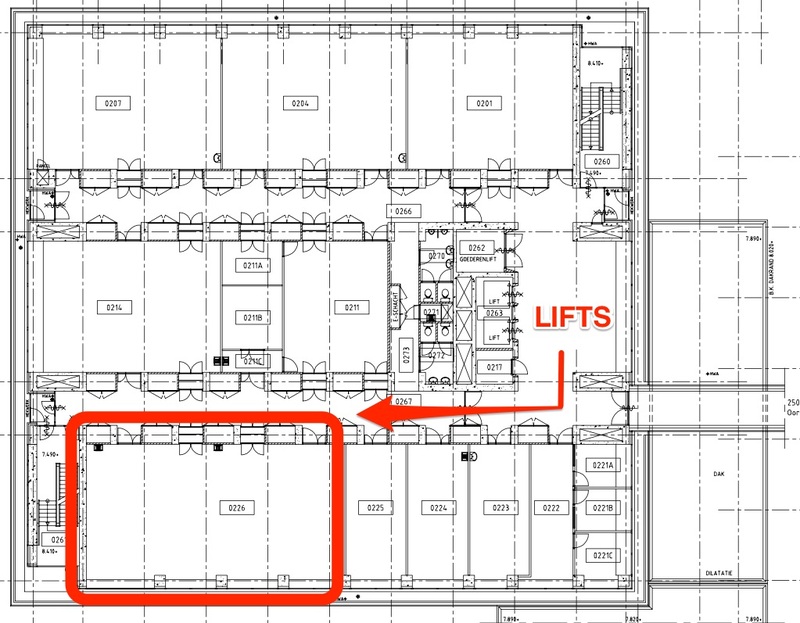 The borrel will be held on the 11th floor of the Huygens Building (HL), next to the Allegro offices (HL-11.22).